3GPP2 Video Converter is an all-in-one professional 3GPP2 video converter that can convert AVI, MPEG, MOV, RMVB, FLV, WMV, MKV, AVCHD (and other video files to 3GPP2 for 3G smart phones). It doesn’t matter if your mobile phones does not support 3GPP2 format. Any Video Converter can convert all supported formats to MP4 or AVI for mobile phones. 3GPP2 Video Converter is easy-to-use, fast and creates good quality. Have fun with it! 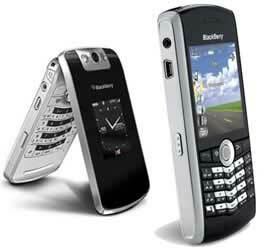 Besides, Any DVD Converter also can convert almost all kinds of videos for 3G Phone Mobile users. Try Any DVD Converter. Paste URL links of your favorite YouTube videos, MetaCafe videos, Nico videos and Google videos to the program, download to your hard drive and convert to video formats you need. Downloading only or downloading and converting are available. YouTube login feature is also built-in. After you have downloaded these online video files, you can enjoy them on your 3G mobile phone with this 3GPP2 Video Converter easily! You will be prompted to choose DVD menu when the program finishes video conversion process. You can customize your CD/DVD as you like. Such as name your CD/DVD in DVD Menu Tile, browse music file from your local computer for your DVD in Background Music,change your DVD's background image in Background Image and etc. The program supports burning video to CD-R, CD-RW, DVD-RAM, DVD+R, DVD+RW, DVD+R Dual Layer, DVD-R, DVD-RW, DVD-R Dual Layer, random access writes, Blu-ray media, Blu-ray Rewritable media. You can personalize your video with special effects with this 3GPP2 Video Converter such as adjust the brightness, contrast, saturation, rotate or flip your video, add artistic effects like noise or sharpen to make your video different and special. You can also add your own subtitle to output video. Just prepare a .srt subtitle with your own dialogue and embed it into output video, set encoding, position, size and font for your own subtitle. With this 3GPP2 Video Converter, you can operate and management your video files easily. You can disable or enable any output profile as you like such as keep your commonly used profiles in the front; manage your output videos by profile or group with a file calculator; show or hide the file management panel in one click. This program adds the MP4 Faststart option to play back MP4 video in the stream way. 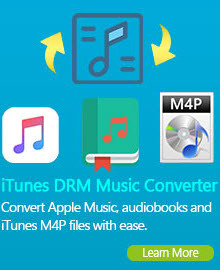 With this function, you can upload the converted MP4 videos to the online video-sharing websites such as YouTube. While the video has been uploaded to the website, the video can be played before the entire video will to be downloaded. Any Video Converter is the best FLV to 3GPP2 Converter, which provides an easy and completed way to convert FLV file to 3GPP2 video. Using this handy 3gpp2 conversion software, you can convert YouTube(.flv) video to swf and edit flv files before converting. Intuitive interface and all-in-one functions allow you to convert 3gpp2 to flv easily and perfectly. Embedded with video editing functions allow you to trim videos by setting start time and end time, crop videos by setting the parameter of four sides. The most common file types contained within an ASF file are Windows Media Audio (WMA) and Windows Media Video (WMV). 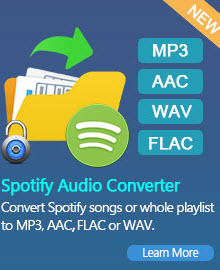 Any Video Converter can convert WMV contained within an ASF file to 3GPP2, AVI, and MP4 format. To rip DVD to 3GPP2 format, you got to have Any DVD Converter. With Any DVD Converter Pro, the smart DVD to 3GPP2 Converter, you can easily make 3GPP2 videos from DVDs for you mobile phones. Besides converting DVDs to 3GPP2 videos for cell phones, Any DVD Converter can also convert avi, asf, mov, mp4, 3GPP2, m4v, rm and rmvb to 3GPP2 videos. 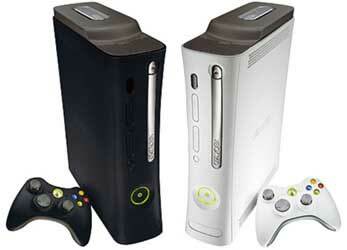 Any DVD Converter can not only rip unprotected DVDs, but also able to convert encrypted DVDs like CSS-protected DVDs. To rip copy protected DVDs, you should check "Ripping DVD titles in DVDNav mode" option (Edit > Options > DVD). 3GPP2 is the 3rd generation video standard for use on 3G mobile phones. 3GPP2 video format is a multimedia container format defined by the 3GPP2 for 3G CDMA2000 multimedia services. It is very similar to 3GP video format, but has some extensions and limitations in comparison to 3GP. 3G2 is defined in 3GPP2 technical specification. 3GPP2 and 3G2 video file formats are both structurally based on the ISO base media file format defined in ISO/IEC 14496-12 - MPEG-4 Part 12, but older versions of the 3GPP2 file format did not use some of its features. 3GPP2 and 3G2 are container formats similar to MPEG-4 Part 14 (MP4), which is also based on MPEG-4 Part 12. 3GPP2 and 3G2 video format were designed to decrease storage and bandwidth requirements in order to accommodate mobile phones.